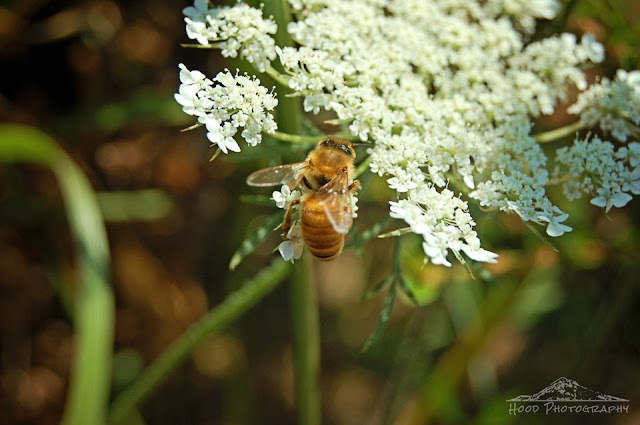 This busy bee collected nectar from some Queens Annes Lace, appropriately for his own Queen waiting back at the hive. Lovely - it's good to see so many bees on Macro Monday! Beautiful macro of both bee and flowers. And love the title of your post. Excellent shot of the bee! Lovely bee capture. I should pick some Queen Anne's Lace.